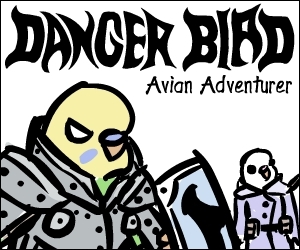 Danger Bird’s heavenly paradise is becoming a bit too crowded for his taste. White Bird should be ecstatic to see his friend again though. RIP Dennis the Menace 3.2.15 -1.9.19. You were taken too early from us and we will all miss your constantly concerned-looking face (it was his normal expression – he always just looked concerned about everything). Sorry for your loss. He sounded like a very good bird.